My maternal grandfather, Olaf M Strom wrote this love letter to his future bride, Thora on November 14, 1901. 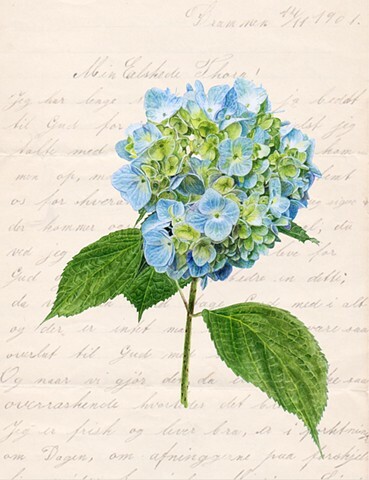 I choose the meaning of Hydrangea to represent our grandfather's heartfelt sincerity of his love. I thank my mother for saving this letter.